When Key & Peele first aired on Comedy Central, I didn’t think the show was going to go anywhere, but then I watched it and realized that the two stars had an incredible talent when it came to comedy and satire. I loved their movie, Keanu, and when I saw Jordan Peele was writing and directing a horror film based on racism I was immediately on board. I knew that it would be a blend of horror and sharp satire, and at times probably even be funny, and that’s exactly what I got. 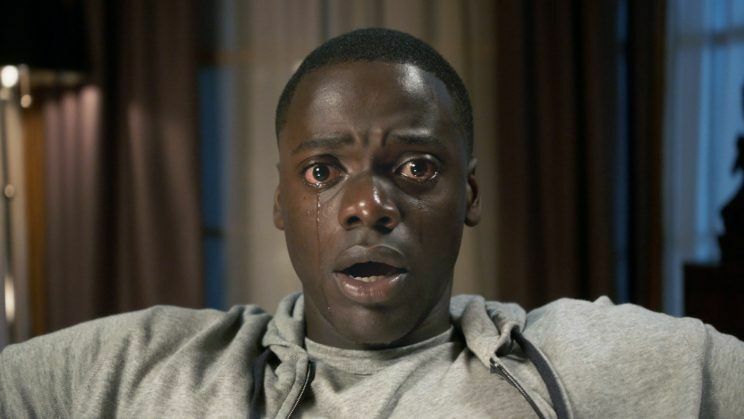 Get Out is a really smart, eerie, and subversive film that has many different ideas and perspectives while also telling a creepy, and sometimes even gleefully campy, horror story. 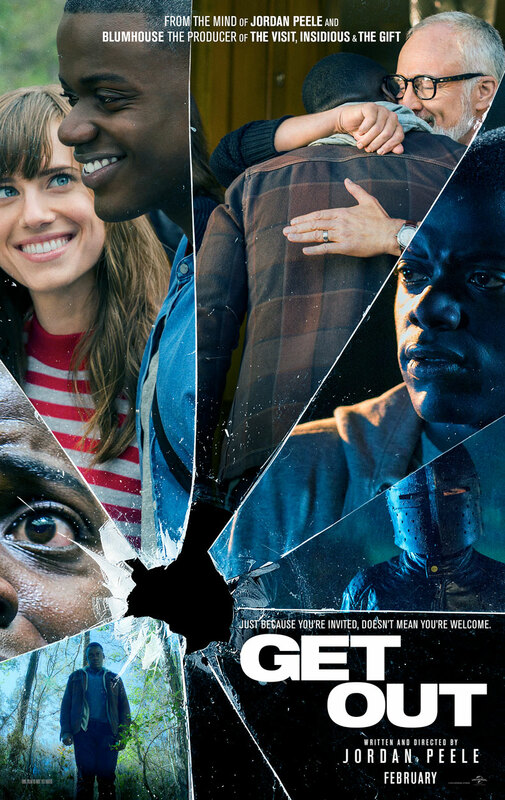 Chris (Daniel Kaluuya) and his girlfriend Rose Armitage (Allison Williams) are at the point in their relationship where it’s time for Chris to finally meet her parents. Normally, this would be a passably awkward experience, but Rose’s parents have no idea that Chris is black. Despite Rose telling Chris that her parents, while being typically eccentric, are nothing to really worry about. Upon their arrival to their suburban home, Chris is whole heartedly greeted by Dean (Bradley Whitford) and Missy (Catherine Keener) Armitage. Over time, Chris starts to notice strange remarks concerning both him and the Armitage’s black housekeepers. Things only get stranger when Missy hypnotizes Chris during a late night conversation, a session which ignites a furious paranoia in Chris that causes him to investigate what is really going on in that house and the real horrors that lie beneath the surface. There’s so much to say about Get Out that I don’t really know where to begin. When this movie was first previewed, there was a lot of backlash for it showing this overt racism directed at one particular race to another. The thing is that this movie is not as clean cut as that. 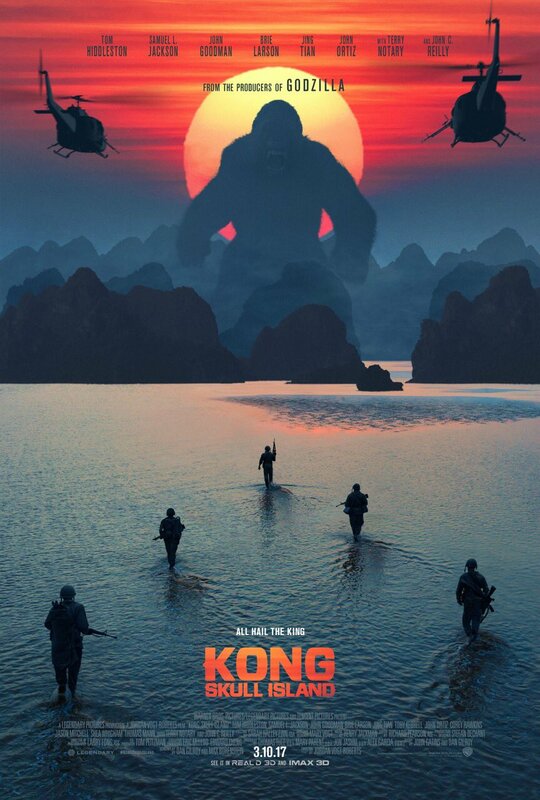 There’s a lot going on beneath the surface that trailers can’t convey, and I’d be pretty upset if they did because the way this movie unfolds is riveting. While Peele does explore the overt racism towards African Americans, it doesn’t really stop there. The story also delves into the realm of paranoia and preconceived notions of both races that arise because of these problems. It also goes in a pretty cool direction where certain actions from people, while they claim they may be trying to help, are only making certain situations worse or changing nothing at all and coming off as condescending. 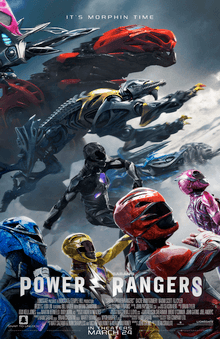 While not giving anything away, the last third of the movie goes absolutely haywire and only makes things more complicated with certain unexpected twists that come out of nowhere… Twists that just so happen to be awesome. While this is definitely a horror movie through and through, there’s a couple really cool things that kind of help Get Out step outside of the box and escape genre conventions. For one thing, this film can be super funny. Like gut busting funny, and a lot of that comes from the hilarious performance by Lil Rey Howery, who plays Chris’ best friend. We all knew that Jordan Peele was a really funny guy, but it’s impressive that he can so seamlessly weave his off the wall sense of humor into a genuinely unnerving horror tale. I mentioned that the third act just introduces a whole new layer in terms of thematic material, but it also really shakes things up when it comes to style and genre conventions. I’m not going to say anything about what happens, but any B-movie fan will appreciate the story taking a sudden turn into that kind of territory. 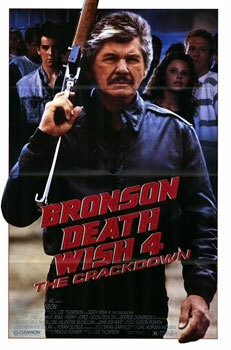 What would have been a major problem for this movie was if it was too obvious. If Peele whacked you over the head with the messages and points he was really driving at, the movie would feel too preachy. 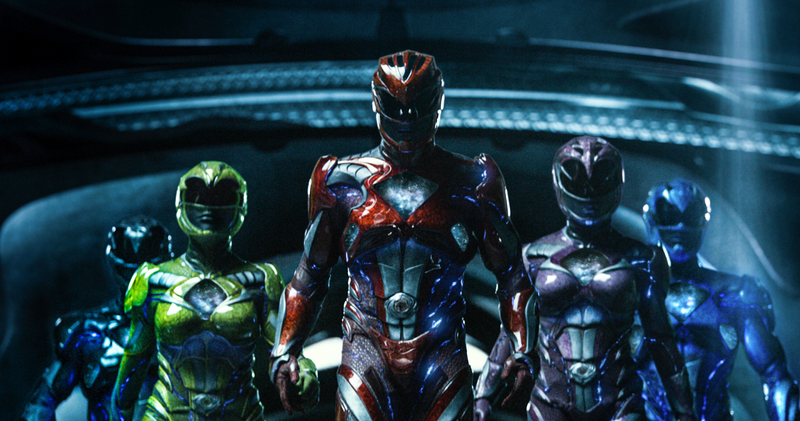 While there are a few moments that do feel a tad bit heavy handed, they are completely out shined by the subversive nature of the rest of the film. This is mostly due to Jordan Peele’s fantastic screenplay and direction, but credit also has to go to the actors. I had no idea who Daniel Kaluuya was before seeing this movie, but he was outstanding. He gives a very natural and level headed performance that can be both shocking and funny. The other stand outs are Bradley Whitford and Catherine Keener as the older Armitages, who just seem to radiate the kind of eerieness this movie needs. I already mentioned Lil Rey Howery, but I just have to reiterate how funny this guy is and how essential he is to the entire movie. I’ve been saying recently that we are living in a renaissance of horror, and Get Out only proves that point even more. This is a brilliant and wonderfully subversive film that gets under your skin while also succeeding at making you laugh. 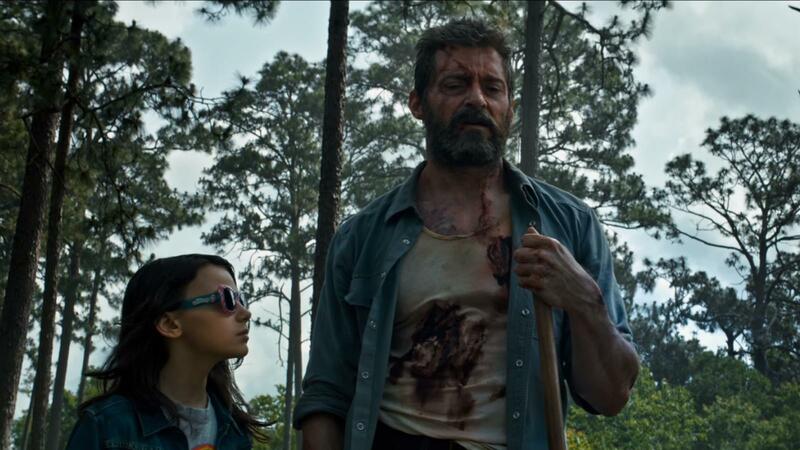 It has some really great thematic depth to it that will make any audience member with half a brain think about the characters and motivations, which is a great first step to making a great film. Add on some memorable scenes and a lead character that you can’t help but love and you have a winner on your hands. Get Out is a superb film that will challenge your mind as much as entertain you. Jim Jarmusch is quite possibly one of the most critically acclaimed film makers working in the industry today. Even with all of this critical feedback, his films rarely see the light of day in terms of the mainstream market, but Jarmusch never compromises his vision for something more accessible, and I respect that. While most of his films are very interesting an defy genre conventions, one that really stands out to me is Ghost Dog: The Way of the Samurai, which was released in 1999. 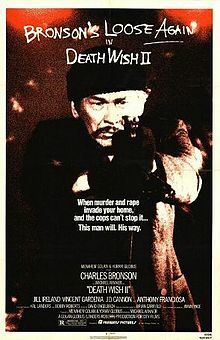 It’s a story that combines a mafia crime story with an urban drama that has elements of an Eastern samurai tale. 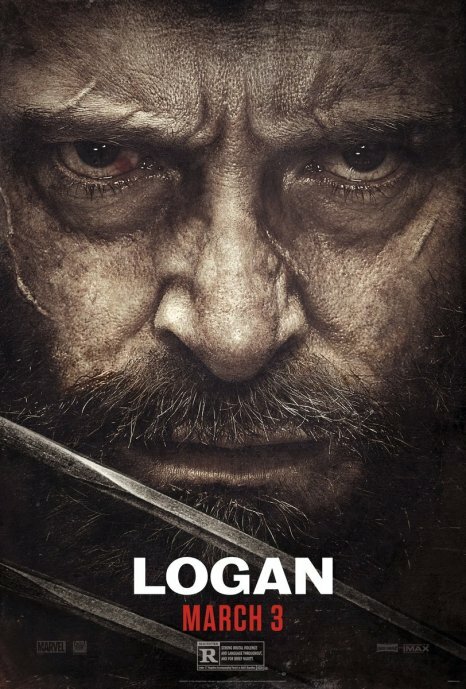 It’s a very unique movie that has a lot of elements working together, but sometimes at the expense of other aspects that could have been explored more. Ghost Dog (Forest Whitaker) is a mysterious hit man that lives by the code of the samurai, which was written in the Hagakure. Part of the code is to honor his boss, a mobster named Louie (John Tormey) who saved his life some years before this story takes place. Part of his honoring Louie is to perform contract hits without question. 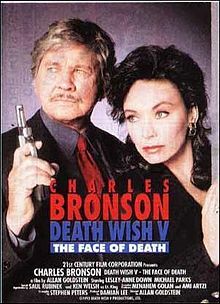 One of the hits is Handsome Frank (Richard Portnow), a made man who is in a relationship with mafia don Vargo’s (Henry Silva) daughter (Tricia Vessey). 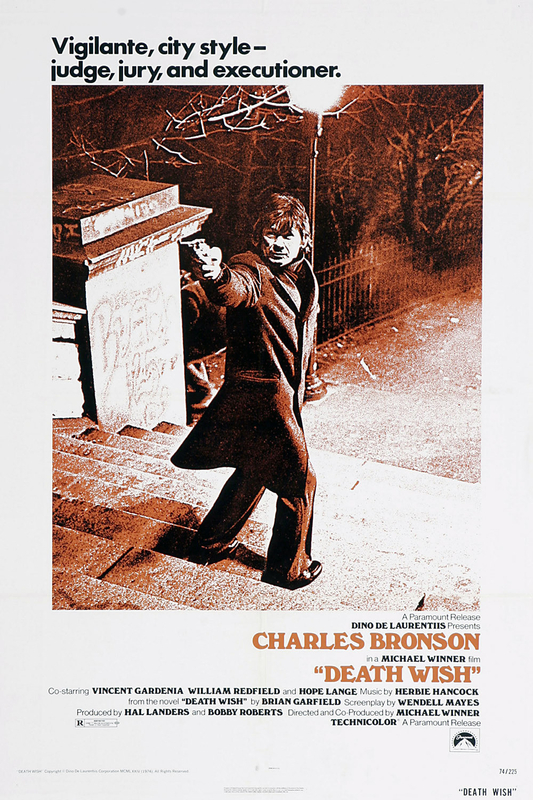 After successfully performing the hit with the daughter being unexpectedly present for it, Vargo puts a hit on Ghost Dog, much to the chagrin of Louie, who is forced to go along with it to some degree. 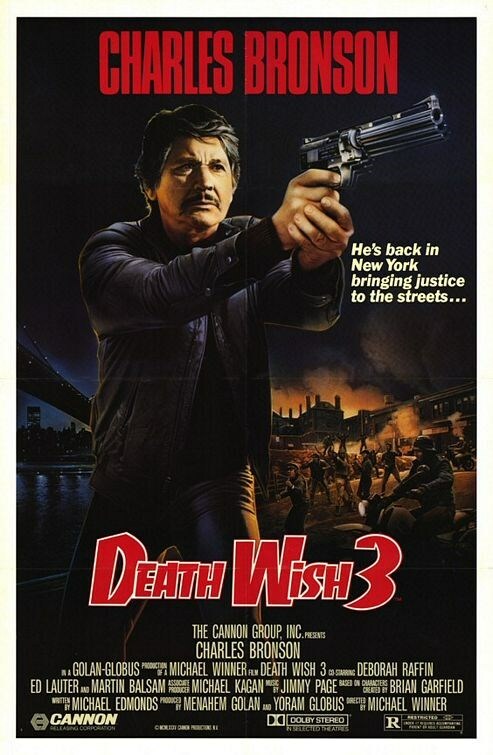 Now, Ghost Dog is going to have to come out of seclusion, and in the traditional ways of the samurai, get his revenge on the mafia family that wants him dead. 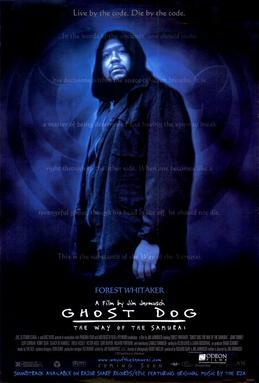 So while this does have a pretty classic revenge story going on, the core of this movie is Ghost Dog. It’s more of a character study than anything else. There’s bursts of violence that happen, but it’s the downtime that sticks with me more. There’s a great scene in a park where Ghost Dog is talking to this little girl he just met about different kinds of books. This scene added a lot of humanity to Ghost Dog, a man who is essentially a murderer for hire. This kind of humanity makes him a very conflicted and complicated character whereas he can be gentle to most anyone he meets, but also kill you without batting an eye. This study of Ghost Dog makes for slow paced storytelling, but it works for this movie. What doesn’t really work is when the slow pace slows down to a halt. There’s a lot of scenes where Ghost Dog is just driving and listening to music, which is brilliantly composed by RZA. As great as the music is, these scenes go on way to long, and unless you’re 100% invested in everything in this movie, you’ll probably find yourself drifting from time to time. 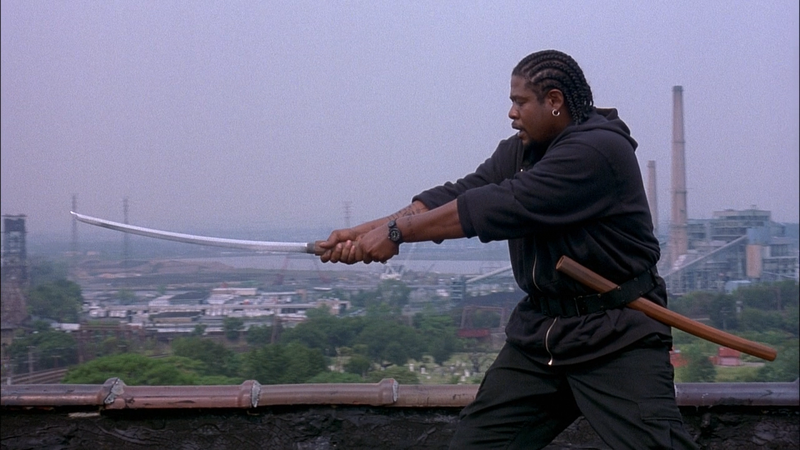 What really makes Ghost Dog: The Way of the Samurai unique is the seamless genre blending. Like I said before, this film works as an urban drama and a crime thriller with sprinklings of Eastern philosophies and styles. I really love when movies defy all genre conventions, which is a major strength of Jim Jarmusch. The combination of RZA’s hip hop score with the imagery of Ghost Dog practicing with his katana on a rooftop in the middle of the city is just super cool, and when he’s comparing the philosophy of the samurai with the violent revenge he’s getting on the mafia also makes for a really cool blend. Now, the problem with having all this stuffed into one movie that isn’t even 2 hours means that some stuff is lost or pushed aside. Not a lot of Ghost Dog’s past is explored and a lot of side characters are just pushed away for long periods of time when a little bit of development would have went a long way. I know this story is more about Ghost Dog, but having certain characters stand out more would have made his actions have more consequence. It’s a small price to pay for fitting in all of the cool stuff that is prominent. Ghost Dog is a really good example of the kind of writing that Jarmusch does and why it’s really a style all his own. There’s a lot of really cool bits in this movie that shouldn’t be under appreciated. There’s a Haitian character that doesn’t speak or understand a word of English, but he’s also Ghost Dog’s best friend even though they don’t understand each other. There’s also a gangster on Ghost Dog’s hit list that has a passion for Public Enemy, especially Flavor Flav. This whole movie is filled with these strange moments that make it feel surreal, but also down to earth since everyday life can be surreal. Jarmusch is as much a writer as he is a director, and it really shows in this movie. Ghost Dog: The Way of the Samurai is definitely a cool and well made movie, and it’s one that should be remembered for being something so unique. It’s a blending of so many different genres and themes and styles while also being an in depth character study. I just wish it was a little bit longer. There’s a lot of different characters and elements to the story that could have been explored a little bit more. Still, what does remain is a very cool story about a one of a kind character. It’s definitely worth a watch or three.